Ald. Ann Rainey (8th) (left). Candidate for 8th Ward alderman Rob Bady (right). Leading up to Evanston’s municipal election next week, the two aldermanic candidates competing for the 8th Ward have centered their campaigns on economic development and affordable housing. Rob Bady, an energy consultant for natural gas and electricity provider IGS Energy, is challenging 33-year incumbent Ald. Ann Rainey (8th) in the contest to represent the 8th Ward. Bady has served on the board for the Ridgeville Park District for three years. 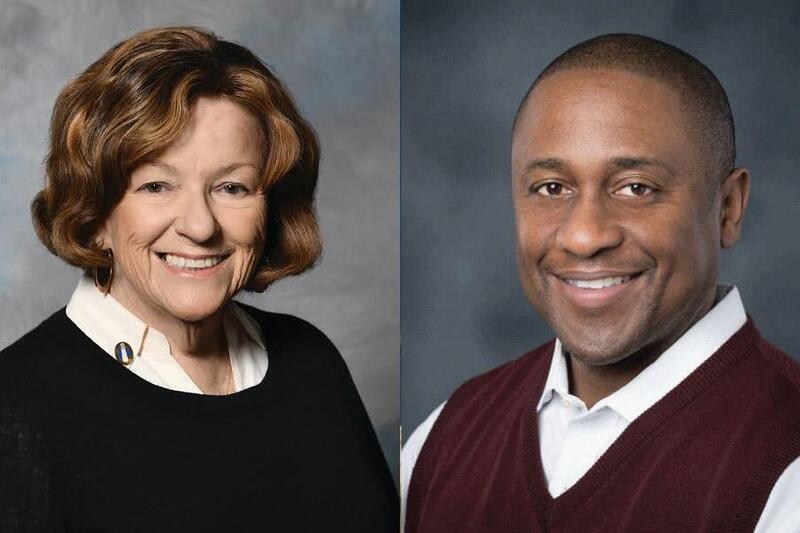 Apart from economic development and housing, both Rainey and Bady said they hope to see Northwestern have more of a presence in south Evanston. Rainey first entered local politics through housing issues with Evanston Neighbors at Work, an agency that provides housing assistance. Housing has since remained an important issue for Rainey in her work on City Council. Rainey said she does not think developers should be required to include affordable housing units in their buildings because that alone will not solve the problem of housing in her ward. Instead, Rainey said, she has been a “major proponent” of the Housing Authority of Cook County’s voucher program, a municipal corporation that administers rent assistance to local residents. Rainey added that more than 30 years as alderman has taught her how to handle difficult issues like affordable housing. She said her experience with the ward, its constituents and its issues qualify her for reelection. “Being a municipal elected official is being a public servant, there are just no two ways about it,” she said. Bady, on the other hand, said he thinks next week’s election will bring “fresh perspectives” to Evanston’s government. Bady has lived in Evanston for 16 years, but is originally from the West Garfield Park neighborhood of Chicago. He said his experience working as a property manager for Holsten Management Corp. — a Chicago-based real estate development and management company — gave him a unique perspective on housing solutions. Bady said he wants to bring in a developer, such as Holsten’s company owner, to generate creative solutions to the problem. Economic development has also been a hot-button issue in the 8th Ward in the past. During her 33 years as alderman, Rainey has made it a major focus of hers to revitalize Howard Street by trying to attract developers to the area. “I hear sometimes that all I care about is economic development, but you can’t provide services to your ward without money,” she said. Under Rainey’s leadership, Evanston purchased multiple buildings in the 8th Ward and rented spaces out to business owners. Over time, business owners have bought their respective spaces from the city, which has generated money for Evanston. Bady said he believes in “citizen-first economic development,” meaning businesses should prioritize the customers they serve. He also said he wants to create a broader “master plan” for the future of Howard Street, and said it was a “misnomer” that he doesn’t support new business in the ward. On April 4, 8th Ward voters will choose their next alderman, who will serve a four-year term.